Are you struggling to come up with new marketing techniques that will help you engage with customers? Well, don’t worry, here are some interesting and unusual marketing techniques to try out. If you can afford to sponsor something you definitely should. But sponsor what? Well, that all depends on your business and what you do. If you run a relatively small business that operate largely within the local community, you should sponsor a local sports team. It’s quite cheap and gives your business good exposure. But if your business is a little bigger and you need something that will offer you more exposure, there are lots of options for you to discover. You could sponsor pretty much anything, there’s no cap on what you can choose. Some businesses sponsor taxi companies or prominent charities. The big advantage of trade shows is that they raise your profile within your sector of the industry. If you have something that you think is worth seeing, exhibiting it at a trade show can force people to sit up and take notice. Business owners, journalists and industry representatives, will all be there for you to impress. Putting on a successful exhibit at a trade show isn’t easy though; it takes a lot of work and effort. 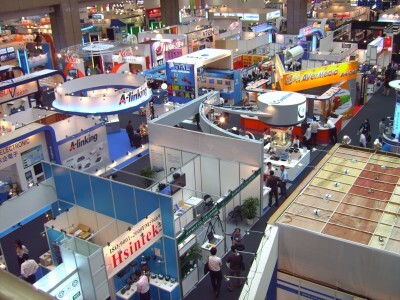 You could get in contact with a company like Finesse Group, which offers trade show design services. This takes a bit of the effort out of the process, but you still need to be prepared for the show. We all love the opportunity to get something for nothing, and the same is true of your customers. So, why not start a competition and give people a reason to take an interest in your business and what you’re doing. Only one person will win the competition, but it’s possible that hundred or thousands of people will become aware of your business as a result of the competition. There are lots of forms that your competition could take. You could ask people to come up with a slogan for your business and then use the slogan that wins the competition in your next advertising campaign. The obstetrical course and cross-fit races are very popular among the working out and hiking crowds. These are just two ideas; there are thousands of others out there! Street marketing is becoming a big deal, and it’s a great option for small businesses. You can generate a buzz in the local community by creating some street art or pulling a public stunt to capture people’s imaginations. This is the great thing about marketing out on the streets; you can engage with people who wouldn’t be receptive to conventional advertising. The key to success is using your imagination and thinking outside the box a little. The field is completely open! You can do whatever you want so get creative. As long as it’s something that gets people thinking and talking, it’ll be a success. Marketing doesn’t have to be dry and boring, so try these interesting and unusual marketing techniques this year.